Oh my lord was that good. The whole concept of this book had me so interested and as I was reading it it just got better and better and better. I mean, if you thought the idea of two countries divided, one ruled by women and the other men, sounded good – then you’ve got a whole other thing coming your way. The characters are amazing and there are plot twists at every possibility. I think I will die in anticipation of reading the second book to find out what happens next. This was seriously amazing and I cannot recommend it enough. This book. My goodness, I have not stopped thinking about it since I finished it. It’s virtually put me into a reading slump because I’m still not ready to be parted with this world. I am counting down the days until I can get my hands on book two. The story follows a girl called Violet who has spent most of her life in a detention centre in this post-apocalyptic-like America. There are few humans left and those remaining are divided into these two countries. The environment has also gone kaput. But it’s nothing like you’re used to. This book is entirely unique. Because the world is divided into a Patriarchy and a Matriarchy, Violet was trying to smuggle her younger brother across to Patrus so that he could have more of a life than he would have if he remained in Matrus. But they got caught: detention centre for Violet, god knows where for her brother. The opposite gender to the one in power, in both countries, has next to no rights. There is a very low tolerance for bad behaviour and it’s honestly horrific. If you have ever wondered what would happen if sexism got out of control, this book will show you. Various events happen, and we follow Violet through an interesting series of events that really push her to her limits. This world tests her ability to stand up and survive in the face of horrible things, and really plays with concepts of identity and power struggles. I’m not going to get too into it, because this book is a delightful whirlwind of a surprise to go into blind. Please, just trust me on this one: if you like dystopia or if you think this concept sounds interesting, then I am on my knees begging you to read it; this book deserves all the hype and attention because lordy lordy, it is amazing. 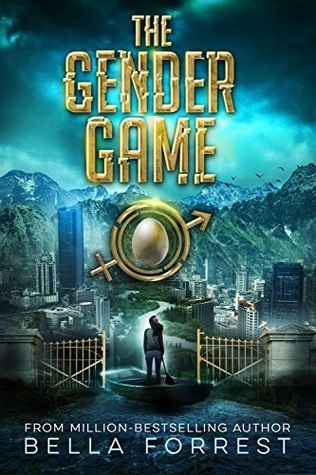 With the plot being what it is, the two best things about the book are the extreme representations of how wrong sexism is, and the characters. The characters are to die for. I had a bad hunch about one particular character in this story which ended up being proved partially right to what I expected. You can’t trust anyone in this story and I really felt like I could connect with Violet’s character. She was awesome. I definitely fell in love with Viggo’s character and I’m curious to see how these characters will progress further in the sequel. Again, I’m going to be a little vague in my discussion here because it’s all about the ambiguity and plot twists in this book! It was certainly frustrating to be in Violet’s shoes and not have all the information about the mission she must carry out. It was like experiencing some weird second-hand repression. Overall, I just cannot get over how insane the character development was AND the wholly unexpected twists that occurred in regards to some characters. This book just blew me away on so many levels and the difficulty of living in a place that is so extremely sexist one way or the other really toys with all of the characters and will set your teeth on edge. I honestly feel like this is the pinnacle of the Dystopian genre. The most wonderful thing about the entire book was how thought provoking it was. Because it is set in a world divided between men and women, it really does get you thinking. It’s terrifying because it’s not so hard to believe that this could happen. I 100% would not bat an eyelid if someone told me this was a history book for the future. It makes the story so much more meaningful, poignant, and relevant. As soon as you can imagine yourself in either Patrus or Matrus, which is easy to do, you become so invested in the story and its characters. I was certainly left confused at the end — which I think is the intention — as to which government has done it better (neither?). I do love this concept that men and women believe that a particular gender is more suited to not only ruling but dominating over the other. I find it so hard to imagine that the situation in Patrus for women really is not so far fetched and quite close to some people’s realities, that’s quite a confronting thought. At the same time, Forrest has presented this idea in the reverse with men being subordinate, and that’s quite something to have represented. It’s a very easy topic to relate to and become involved with because it’s very topical. I was also ever so slightly disappointed that there wasn’t a scene where a woman wearing an epic ball dress suddenly whipped off the skirt and started throwing knives that had been strapped to her legs – can you imagine that? It’d be like Belle from Beauty and the Beast suddenly going all Katniss. Perhaps my dreams are too far fetched. This next bit is the spoiler section – quick! Skip down to the summary! I am just so hung up on this book and how good it was. The conclusion really ramped things up to the next level and left me like WHOAH, HOLD UP SONNY JIM. I can’t believe just how extreme Lee’s character flip was. I didn’t trust him from the beginning, he was far too weird, but holy cow, I didn’t expect him to become quite so insane. I particularly freaked out when Violet (on the flying motorbike thing) accidentally releases the bodies from the crates. Excuse me whilst I gag. I don’t know if I was surprised by his actions or not but I don’t think I could’ve predicted it happening the way it did, nor do I have any inkling as to what he was actually planning. I can’t wait to see what Violet does next – she’s just the perfect oops-guess-I’ll-save-the-world-then type of girl. I don’t believe that her brother is still alive. I think it’ll make for a nice twist if he is, but I 100% think that Matrus has simply been killing men; I got the distinct vibes that the people running Matrus were terrifyingly anti-men and wanting to seek revenge for all the wrongs done to women in the past. This whole attitude really scared me, again, because I could see this happening. I’m really worried for Viggo’s welfare. I’m almost certain that Forrest won’t have killed him off (yet) and that he’ll feature in the second book. He gradually grew on me until I was desperate for him and Violet to run away together. I think I died several times over when he tracks her down and valiantly saves her after she is kidnapped. Also, damn, that kidnapping was brutal. I also really liked how he was this glorified ring fighter but didn’t want the fame. I mean, he’s basically just a perfect human being. It’s going to be awkward when Violet has to explain that she had agreed to set him up though. I am just hanging out for them to be reunited and become an unstoppable duo. I will be devastated if he died in the attack because ONE DOES NOT KILL VIGGO. Because I live for that sexual tension. Lastly . . . the egg. The WHOLE reason behind this story. I wasn’t sure how I felt about it for most of the book – and I don’t know why. I thought it made sense that Patrus had stolen from Matrus because they’re not as technologically advance because they know that Matrus can’t afford to initiate a war between the two of them. But . . . an egg? Like: quick, Fred! Fetch me my laser gun, spaceship, dinosaur-steed and hop to it, we’ve got an egg to save, *audience cringes*. Up until the very last point when Violet opens the eggs and finds life in it, I wasn’t completely sold. But now I am. I love the idea that the two countries were fighting over some coveted technology, for what I assume, is to create life. I think this is going to unravel and blow me away in the second book. If they can create life, then they don’t need the other gender and could control the gender of their children. HOW GLORIOUSLY WRONG IS ALL OF THIS. I LOVE IT. I cannot express in enough words how much you need to read this. Honestly, just go and get a copy of the book from somewhere and have a read. It’s insanely good and will make you really question a lot of things. It terrifies me in its relevancy and how easy it is to imagine a real world divided in this way. I need the second book like air, I must know what will happen to my beloved characters! I shall sit up all night with it reading until my eyes fall out, *nods*. I am an affiliate for these companies! It would mean the world to me if you purchase this book (or any other!) via my links as I get paid a small commission. Thanks! 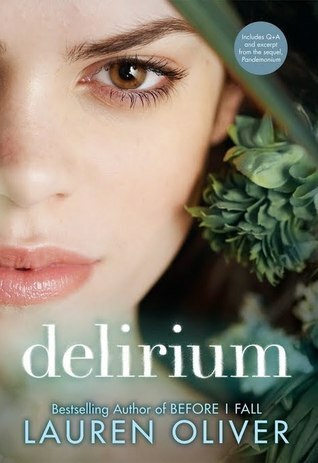 If you like books that have governments telling people what the best way to live is, then Delirium is for you. 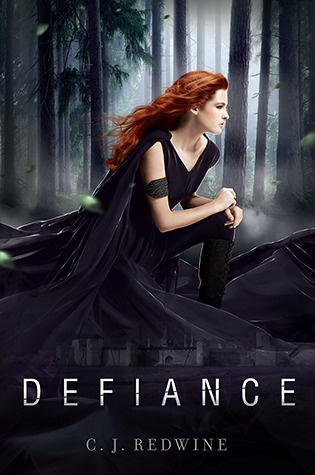 If you like Dystopian books that revolve around some important piece of technology, Defiance is for you. 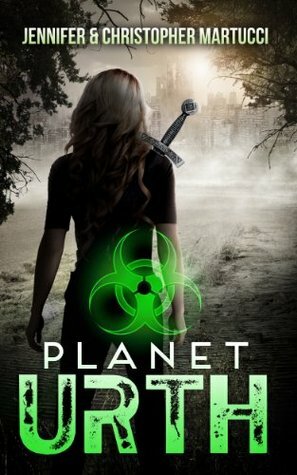 If you like Dystopia that centres around the characters being the last of their kind, Planet Urth is for you. 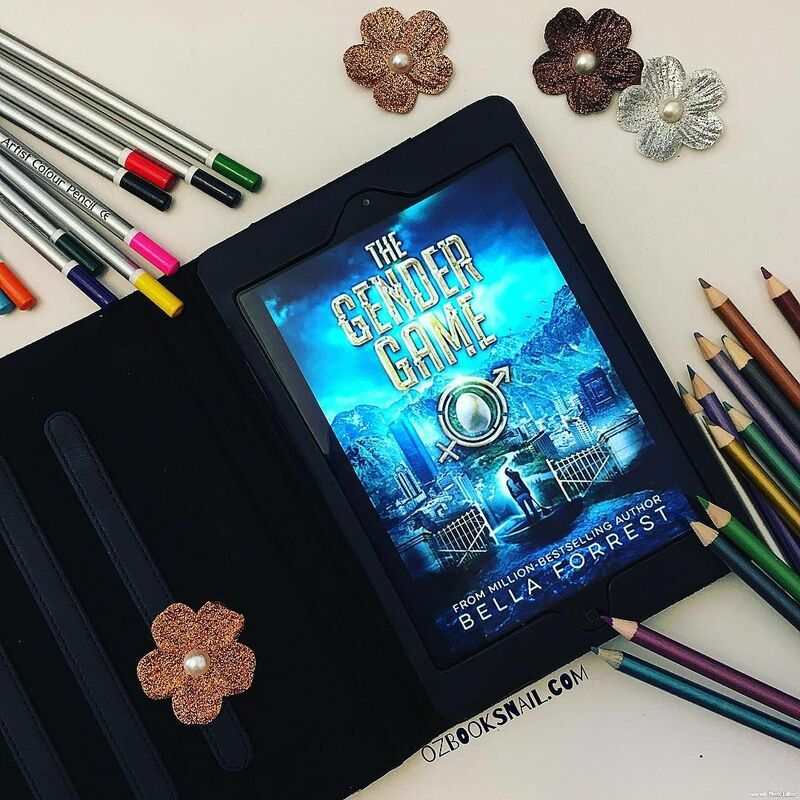 Have you read The Gender Game? What did you think? Skipped the spoilers 😉 Love the review. I am so glad to see you enjoyed this one. 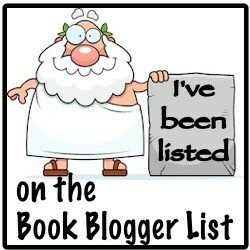 It is on my list, and now I am even more excited about reading it (eventually). Aw thank you! I hope you enjoy it as much as I did, I really is an amazing story and so unique! Don’t put it off too long! Sounds interesting and something to add to my reading list. Oh honey, boy do you have something coming your way. I’m so sad there wasn’t major hype around this book for its release because by George! it’s good.